This lucky gal (me, of course) got a chance to photograph a great friend named Cristine who she met years ago while they both started working for a paper store. They instantly got along, goofing off with cardboard boxes, and sharing a love for paper, print, design, photography and Moleskine planners. Over the last few months we've been just keeping up, meeting up for coffee, and exchanging words. It was such an honor that she came to me to shoot her photos. She and I had been discussing the whole thing for a little over a year and now I'm thrilled to finally post the photos up. We began our lovely Sunday afternoon in Fort Worth with a cup of coffee at Brewed. If you ever are over there - it's a bright colored, vintage accessorized, coffee brewing place. I knew instantly that I would really enjoy hanging out here. Cristine worked out a way for Matt and her to take engagements there and utilize the entire place once they closed for the day. It was so nice to have such creative freedom and several places as a backdrop. We took so many photos that day that it took me forever to select a handful of favorites. Hope you enjoy! 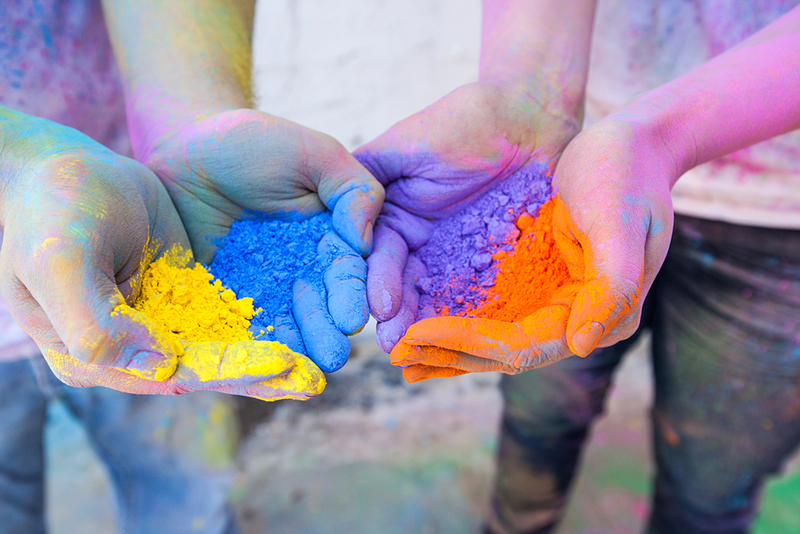 //Special Engagement Bonus// We did a paint powder photo session! I've always seen these ideas with other photographers so I was extremely lucky when Cristine came to me with the idea. It's definitely not something you can do without a little bit of preparation. For first timers doing this, I recommend the following suggestions before you start. - As far as camera settings, I highly recommend shooting with a fixed focus and a very fast shutter speed. From my experience, you can get really great results shooting with a shutter speed that is about 1/100th of a second or faster. Also, set your camera on continuous shooting mode. Pretty awesome day as obviously shown. Huge thanks to my boyfriend for being my assistant - I wouldn't have been able to do as much without him. To Matt and Cristine - I am so excited for your wedding! I know your wedding will be just as vibrant as your engagements!